United Nations | What's with the Climate? IYCN Agents of Change Application now Available! Are you passionate about the global debate on climate change? Do you want to learn about and help influence international policy on the matter? The IYCN Agents of Change (AoC) program is now accepting applications for its delegation to the UN Climate Negotiations, COP14, happening in Poznan, Poland this December (http://www.mtp.pl/en). 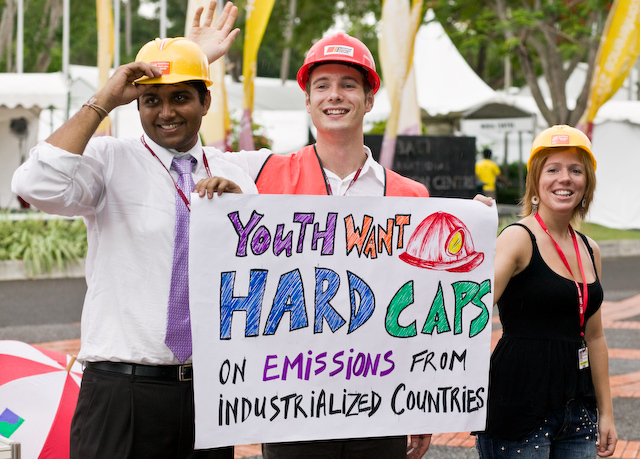 COP14 will determine the future of international policy on climate change, and youth must make their voices heard. The Agents of Change delegation will comprise of youth leaders and those passionate about the cause of climate change and sustainable development from across the country. The delegation should be well informed and will put forward their views on the topics to be discussed at the upcoming COP. This will subsequently be submitted to the UNFCCC for consideration. The delegation will engage with youth from around the world and help towards the establishment of a permanent stakeholder status given “International Youth Delegation” at the UNFCCC. The delegation will be required to contribute 200hrs to IYCN in the lead up to the COPS. This will include fundraising to get to Poland, discussing and proposing policy for UNFCCC consideration, and volunteering to ensure the existence and growth of the network. The purpose of the Agents of Change is to show to the world that Indian youth are aware of and active on the topic of climate change. Indian youth will serve as an important bridge as they will provide the voices of youth from not only India but those from large nation of the global South. These youth will have the unique opportunity to bring the voices of the Indian youth to the negotiators (including the official Indian negotiators) at the crucial talks. IYCN will make every effort to secure funding for the AoC delegation, however due to the high cost of traveling to Poland, financial support is not guaranteed. Upon confirmation of involvement in the program, delegates will be required to submit a draft plan for individual fundraising and to stick to that plan. IYCN will work with each participant to identify and contact potential funding sources, and will do what it can to ensure that financial need is not an obstacle to participation. 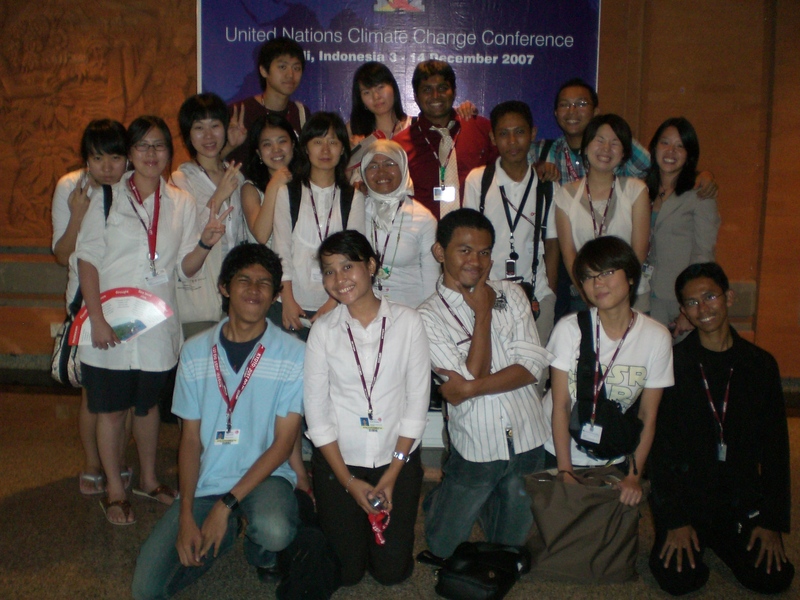 Categories: climate change, United Nations, Youth in Action | Tags: UNFCCC, United Nations | Permalink. You would expect the climate change talks to have taken off with a “Bang” here in the capital of Thailand. Yet the sense amongst most observer groups is that there are no negotiations really taking place. The biggest challenge is carrying forward the energy of the Bali Action Plan which came out of intense final hour negotiations back in December 2007. It is already nearing the last day and it is becoming obvious that the delegates are losing track of time. And there are very heavy issues on the table including: adaptation (how we will finance technology for adaptation, do we couple it with mitigation, how do we determine which nations are the most vulnerable), mitigation (what does measurable, reportable, verifiable emissions reduction targets mean? ), Finance (which instruments will be utilized for mobilization and control of funds, and more importantly where will we get the massive amounts of funding required? ), etc. “You can fly, to any city in Thailand. I hope you get a chance to explore this beautiful country before you all leave,” stated the deputy Prime Minister of Thailand during his opening plenary address. I noticed more than a few people smirk in the room. One of the key issues being discussed here are the roping in of various industrial and cooperative sectors into the negotiating process–one of the most important being bunker fuels from aviation and shipping–emissions from the former having continued to rise at 3% each year while the latter’s emissions have doubled since 1990. A presentation today by the International Civil Aviation Organization (ICAO), the primary organization held responsible for checking the growth of emissions from this industry/sector revealed some of the key challenges to addressing the problem. Challenges include things like access to and quality of data, methodology, comparability and the problem of emissions from transboundary and multinational flights and those crossing areas outside national jurisdiction were of key concern. However the presentation (which was quite poorly put together with only 3 slides) left a lot to be desired regarding actual moves to check the growth of emissions coming from the sector–and the main culprits having not checked the growth of emissions are the ICAO and IMO (International Maritime Organization). The aviation sector is expanding rapidly in the emerging economies (and rightly so, considering the new found wealth in those nations). Those with vested interests in trade would have business as usual with regards to curbing emissions in this sector–Panama, Singapore, and China again, being some of them. Curiously, small island states as well, as their remoteness requires a heavy reliance on both shipping and aviation for survival. New Zealand made a point to address this latter issue and stated the need to consider geographical remoteness and national circumstances when drafting final policy. The debate on forests has been reopened as the issue of carbon stocks is taken up once more. This time it comes under LULUCF (Land Use, Land-Use Change and Forestry). While NGOs are wanting appropriate accounting of emissions from peat and degraded forests, governments are talking of carbon harvested products (timber products) serving as carbon sinks! To speak specifically in the Indian context, the climate change negotiators have all been changed. 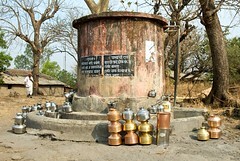 This time not a single one of them is from the Ministry of Environment & Forests. To show the seriousness of the issue to the government, it is being handled by the foreign relations department and none other than the man behind the Indo-US nuclear deal. Make of that what you will. For the 1000 delegates convening here from 190 nations around the world, time is running out in this “City of Angles.” Where is the divine intervention that is needed to move this process along? 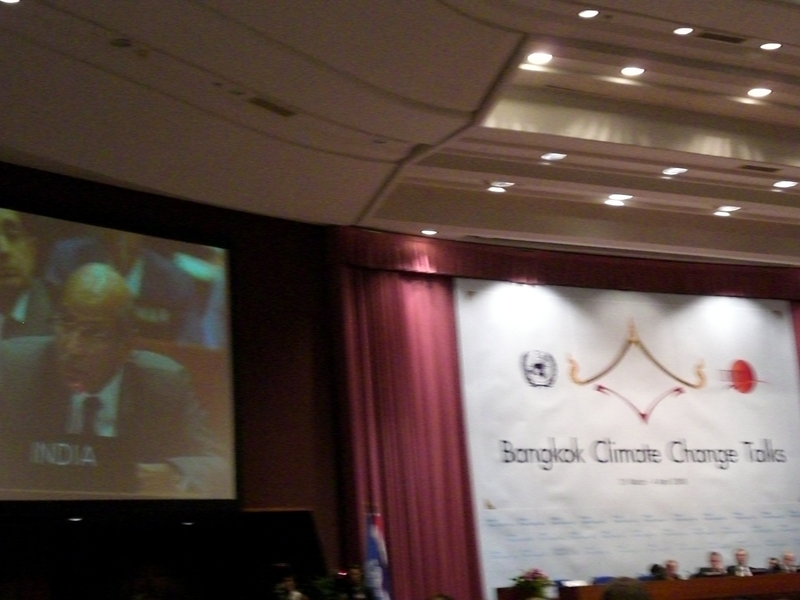 Categories: Bangkok 2008, climate change, transportation, United Nations | Tags: Adaptation, Bangkok Climate Change Talks, Bunker Fuels, LULUCF, Mitigation, UNFCCC, United Nations | Permalink.